michelle paige blogs: Easy Crockpot Pineapple Meatballs to Die For! When you think of an African safari, you automatically think meatballs, right?!? Who would ever put safari and meatballs together? I mean, do they even eat meatballs in Africa? 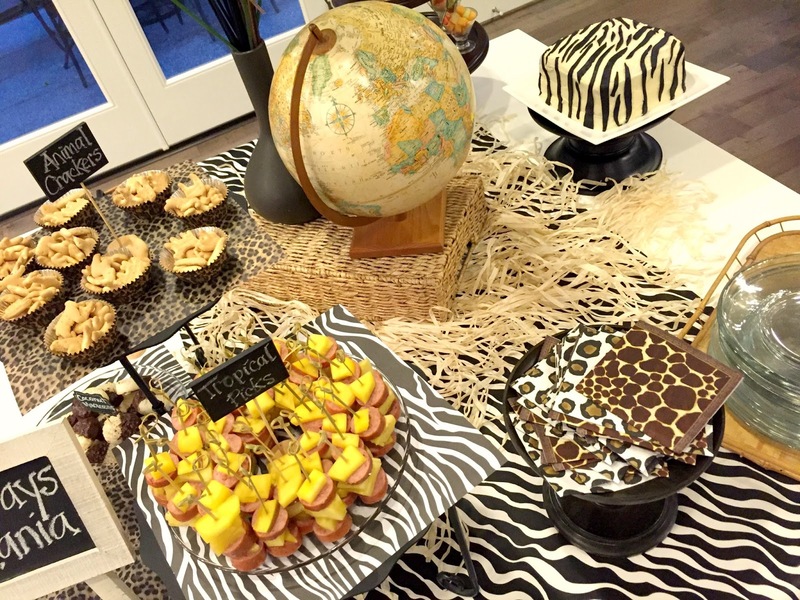 Did you see our African Safari Party? Click here if you missed it. 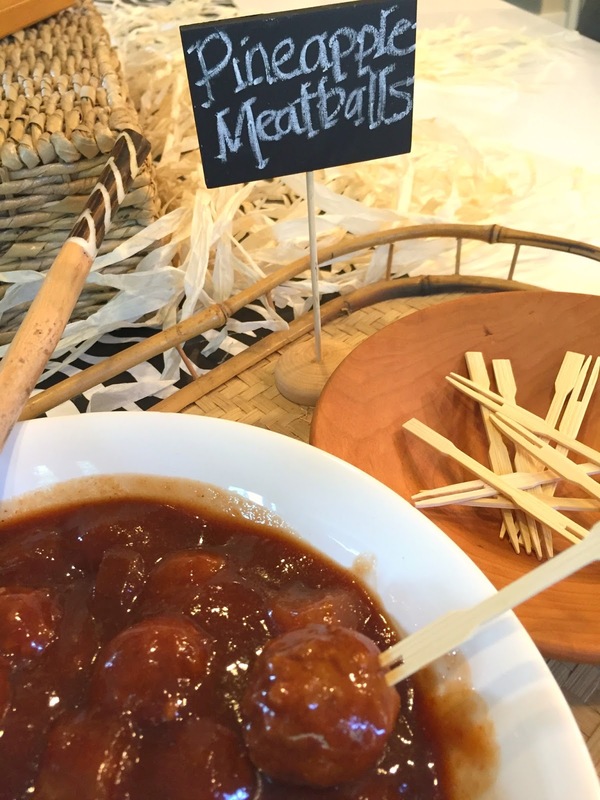 I served meatballs because I knew we would have a bunch of men and teenagers at the party. I just happen to know that men and teenagers LOVE meatballs. To make the meatballs go with the party theme, I threw in pineapple. You know, tropical fruit...African safari. Alright, maybe a stretch? 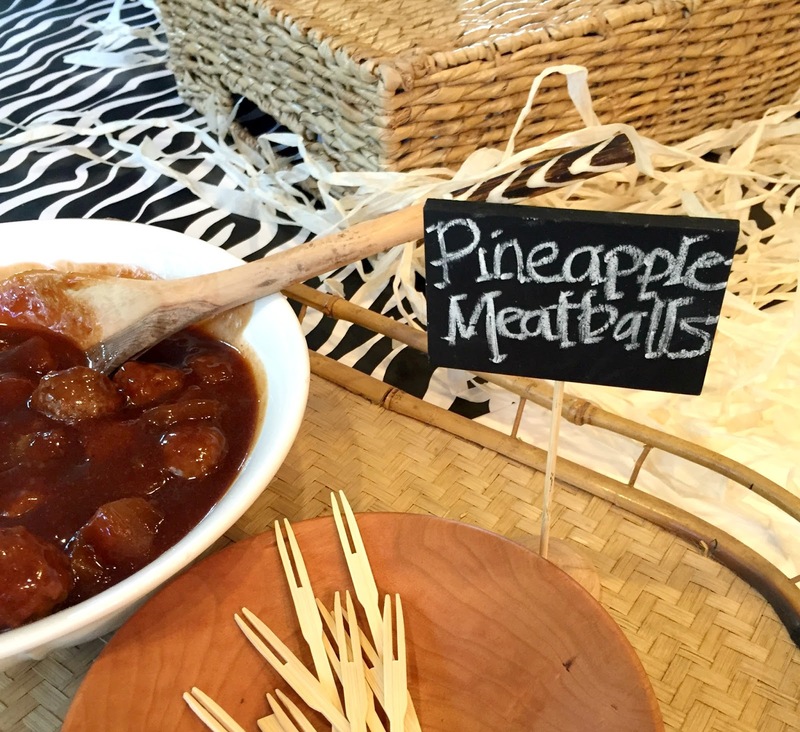 Well, those Pineapple Meatballs were the hit of the party... besides the fun safari decor, right? Those teenagers kept going back and back and back again to get their fill. The adults kept asking for the recipe, so here it is. It's so simple that I'm a bit embarrassed to have a whole blog post about them. 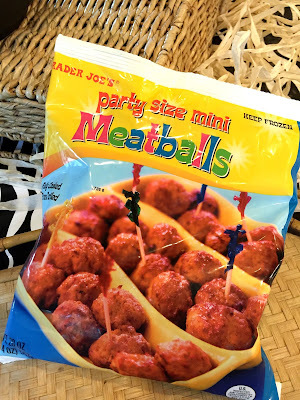 -1/4 cup soy sauceAdd in 2 (20oz) bags of Trader Joe's Party Size Mini Meatballs. Cook on low for at least 3 hours. 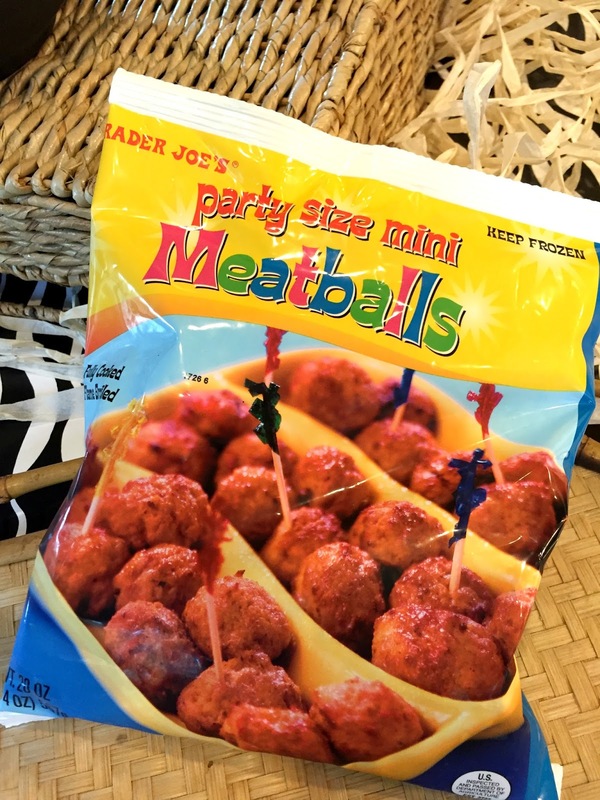 These Trader Joe's meatballs in the party size are the best! 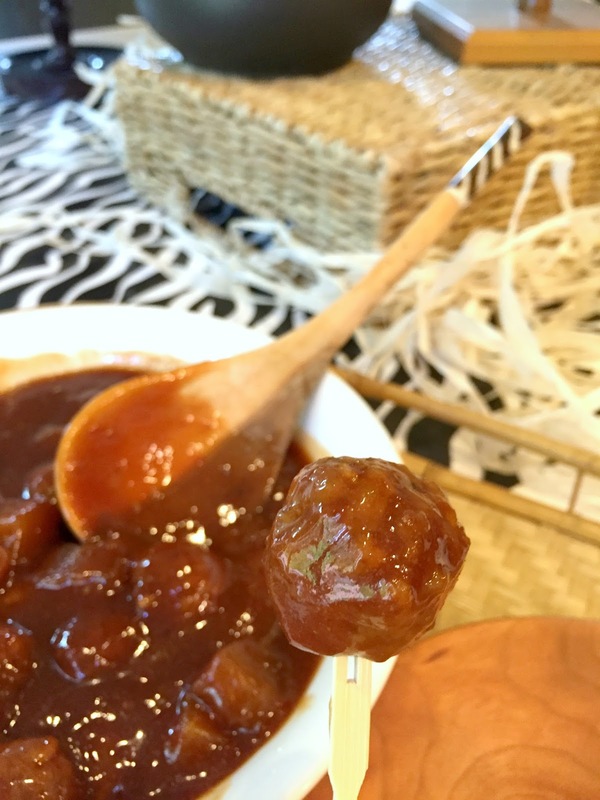 Of course you could make your own meatballs, but then this recipe could no longer be called quick and easy, now would it? To download a printable version of the recipe-- Click here. Check out the Safari Party here.